The Aesop mask is the mask of an old storyteller. 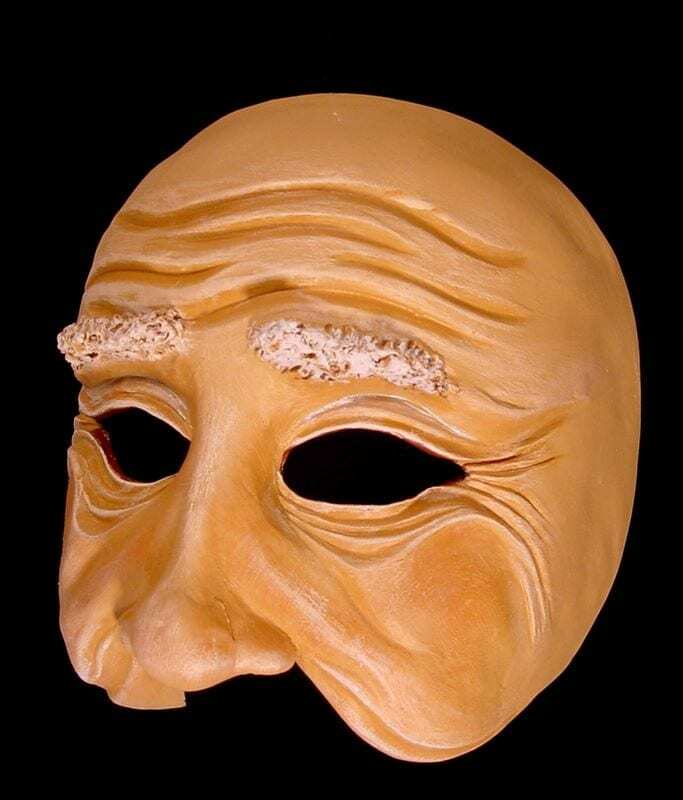 This kind and aged character in the form of a half mask comes from ancient Greece. Aesop’s fables leave the audience with simple lessons of kindness and morality. The Aesop half mask is one of an ancient old man that might also have been and animal or an insect in a previous life. He is wise and joyful. This mask is designed as a professional tool for performance. It is durable, easily cleaned and adjustable to a variety of head sizes. Aesop’s friends tend to describe him as “eccentric” and “chatty.” He’s always telling stories in metaphors populated with grasshoppers and mice and the lions. He talks twice as much as anyone else in the room, but he’s usually saying something pretty interesting. He’s also known for his delightful sloppy joe recipe. Secret ingredient? Ketchup. Don’t tell Aesop I told you. The mask is made out of neoprene, is durable enough to withstand many performances. The Aesop character half mask has an adjustable cam buckle and strap to hold it to the head.